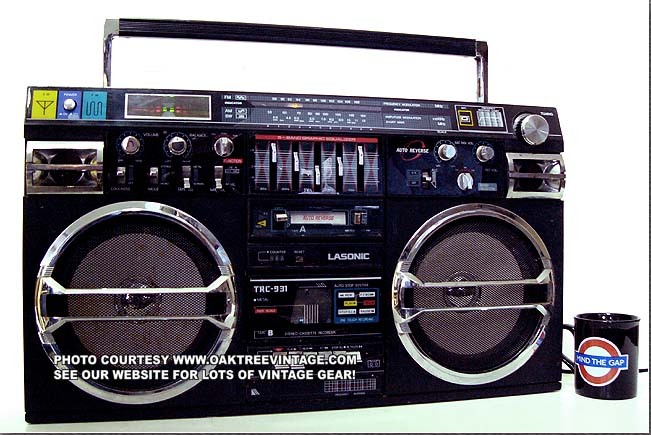 Lasonic TRC-931 Ghetto Blaster original from Japan, not the cheap Lasonic i931. 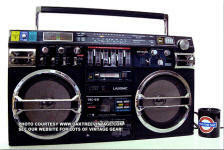 Original Lasonic TRC-931 Ghetto Blaster / Boom box for restoration / parts. This is an original Lasonic TRC-931 from Japan, not the Lasonic i931, Chinese version. It is in somewhat rough condition and will need to be restored to be fully functional. Here's what we know. It does power up on either the AC cord or the AC adaptor jack with a correct power adaptor connected. We did not test it with batteries. The tuning knob is missing (not sure what knob my photographer stuck up there for photos) and the internal shaft is jammed so the tuner does not currently move. The FM telescopic antenna is gone. The upper tape deck works, however there is a faint, mechanical cyclical clicking noise that is related to the speed of the motor; ie it speeds up with FF or REW. The eject button works, but the knob is slightly askew. 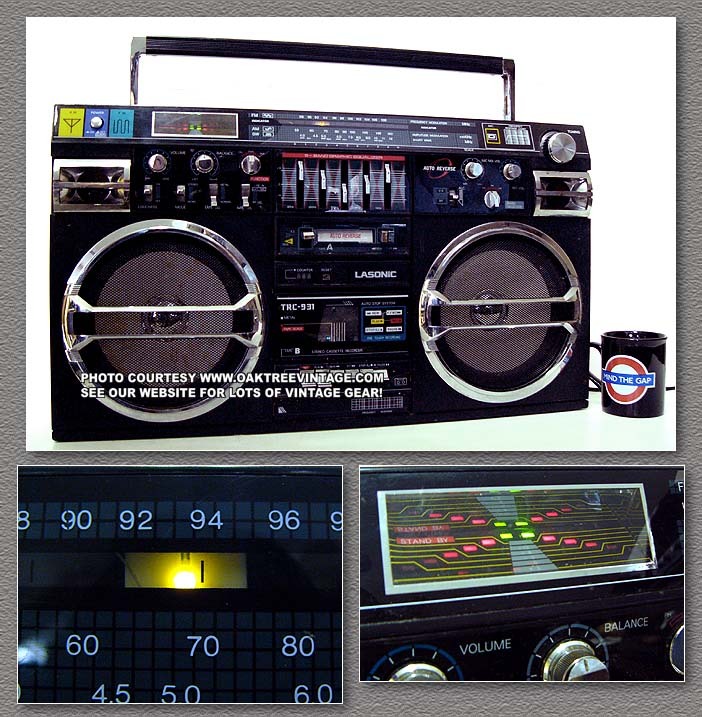 The lower tape deck runs in FF and REW. We could not get it to Play and the "Play" button is jammed in the down position. The tape counter did work as well. 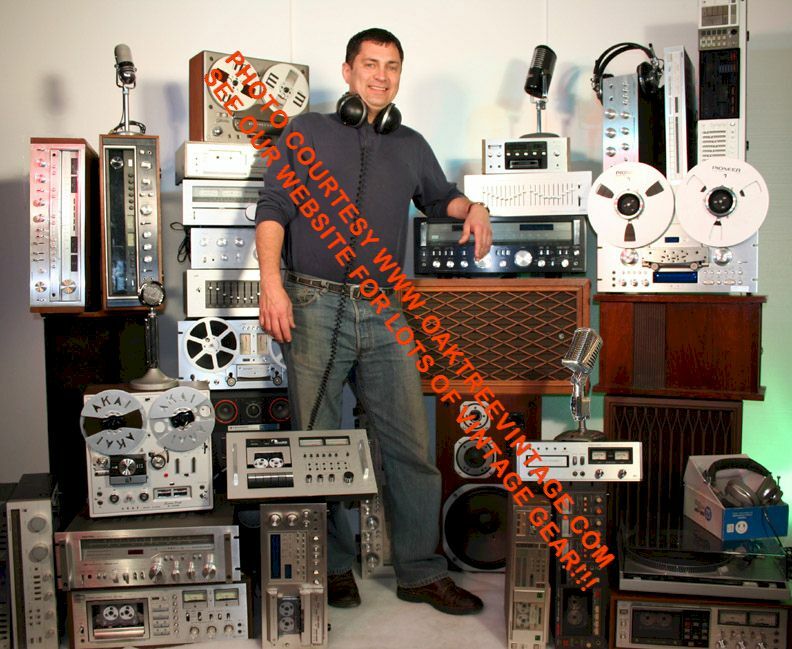 EQ , Loudness, Stereo / Mono, Tape Selector, Band Selector, Balance and volume all work fine. Both amplifier sides play fine (tested with a tape in the upper deck) and all woofers and tweeters work and sound great! The LED power / tuning meters all work. The speaker grills and trim pieces are all in decent shape, and will clean up well. There are no case cracks or chips, just some typical scratches. The entire unit needs a "bath" as it appears to have been used on a "job site". If you can find a tuning knob and an antenna, it would be a great candidate for restoration. I used to sell these new, and wish I had bought a case of them. This unit measures 25" wide x 14.5" wide x 6.5" deep and weighs 15 lbs unpacked. *Price will increase following any further restoration procedures.